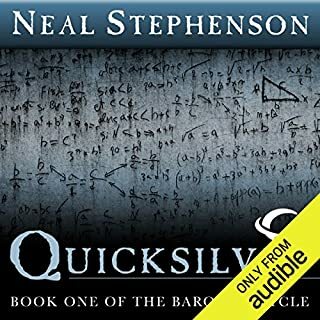 From his triumphant debut with Snow Crash to the stunning success of his latest novel, Quicksilver, Neal Stephenson has quickly become the voice of a generation. In this now-classic political thriller, he and fellow author J. Frederick George tell a savagely witty, chillingly topical tale set in the tense moments of the Gulf War. When a foreign exchange student is found murdered at an Iowa University, Deputy Sheriff Clyde Banks finds that his investigation extends far beyond the small college town, all the way to the Middle East. Shady events at the school reveal that a powerful department is using federal grant money for highly dubious research. And what its producing is a very nasty bug. Navigating a plot that leads from his own backyard to Washington, D.C., to the Gulf, where his Army Reservist wife has been called to duty, Banks realizes he may be the only person who can stop the wholesale slaughtering of thousands of Americans. Its a lesson in foreign policy he'll never forget. 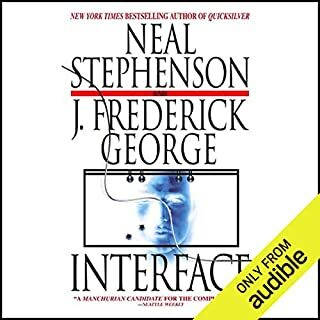 ©2005 Neal Stephenson & J. Frederick George (P)2010 Audible, Inc. This book might be summed up as small town cop saves the world, but it is oh so much more. Former olympic wrestler marries the sister of his toughest opponent, starts a family, and runs for county sheriff. Reservist wife goes to war; small town cop makes friends with foreign agent and prevents disaster. Brother and sister leave the farm and get caught up in international intrigue -- one at the CIA and the other at a mid-west university. The brother is killed; the sister wins the political game. A marvelous, tense adventure that will keep you alert. It seems to be the trend--a popular (talented) author "collaborates" with an unknown (or, to be kind, lesser known) writer who writes in the same style. It can be guessed that the underbill author does most of the heavy lifting, the star edits it over a few weekends and adds his (or her) cachet (and name) to the project, and oops there goes another best seller, ker-plunk. And the essence of what made the best selling author with it. This version of that scenario is pleasant enough, but I fear Neal fell down in the editing department. Sure, there are occasional flashes of word play and graphic descriptions that his novels are full of (and so fun because of), but there is also so much filler I thought I was listening to a Tracy Chapman anthology (reference to Saturday Night Live satire on songwriter's propensity to versify mundane things). 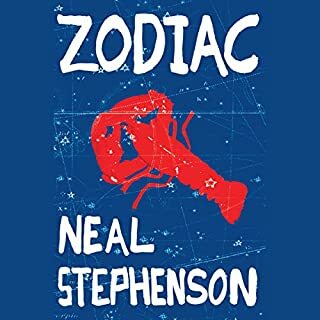 I never had the urge to revise Neal's work as it was being read until this book. There is so much overnarration of every detail it drove me crazy. The descriptive detail of Kevin going to the bathroom (or of anyone doing just about anything) was maddening and utterly unnecessary to moving the novel along. It works in print books because the more words you put on a page the less you actually have to write to fill up 300 pages and maybe the reader doesn't notice; but being accustomed to hundreds of pages of Neal's dynamic prose (or at least not prosaic tedium) I found this one very disappointing. The story itself takes a while to toss out the threads that get woven together, and is entertaining enough as a spy thriller once it gets rolling, but I think I will pass on other collaborations of this sort for a while. This is the 3rd time I've tried to listen to this book and still I cannot follow it. I get to about chapter 16 each time then return to the beginning to see if I can pick up a thread. It is boring, too descriptive, and difficult to listen to. I thoroughly enjoyed this novel. It has great characters and a gripping narrative. 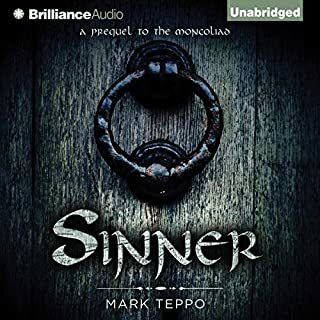 I have to say the narration was 5 star when in character, but lacking otherwise. The setting is both a small Iowa college town and Washington DC at the beginning of Iraq war in 1990. Cobweb loosely refers to government bureaucracy interfering with and redistributing good intelligence work in order to fit existing policy. There's unforgettable characters in constant conflict with each other and everyone is "cobwebbed." I really did not want this book to end. This book was really entertaining. While at times the narrators voice didn't sit well with me, overall he did a solid job. It started out kind of slow, but then built up into a very interesting story. This an outstanding book. 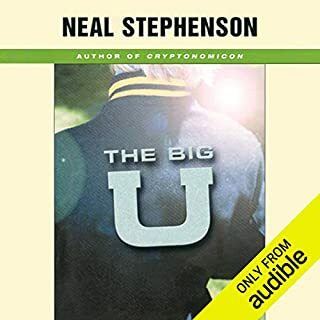 It is classic Neal Stephenson, as funny as Reamde, and intricately plotted as Cryptinomicon (sp?). 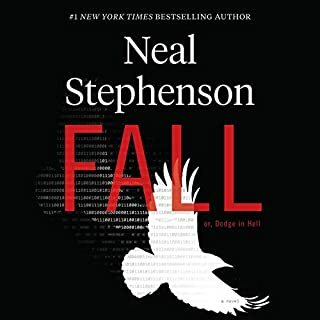 The book is so realistic about the politics of national security just before the first Iraq war that one thinks Neal must somehow have been involved. I strongly recommend this wonderful read! Everything that didn't make sense about the Iraq War will become understandable after reading this book. it is one of the most interesting and accurate spy thrillers of all time, and narrated with perfect timing. I don't think I've ever before been in love with the depth and beauty of so many competing characters. Would you listen to The Cobweb again? Why? The story was complex, clever and always kept me interested. What other book might you compare The Cobweb to and why? The Cobweb is a fascinating precursor to Reamde. I'm a fan of Stephenson in general, and I love seeing how his ideas and writing have evolved over the years. If you love Stephenson, or just love spy thrillers, get this book! I wish this was an average mystery novel. That would make the level of books a lot higher. But among the books I enjoyed, this was average. Deputy sheriff is faced with a puzzle that may mean the world's in his hands? Sounds like a summer movie, eh? It's a reeeely unlikely story, but then again, most of these stories are. 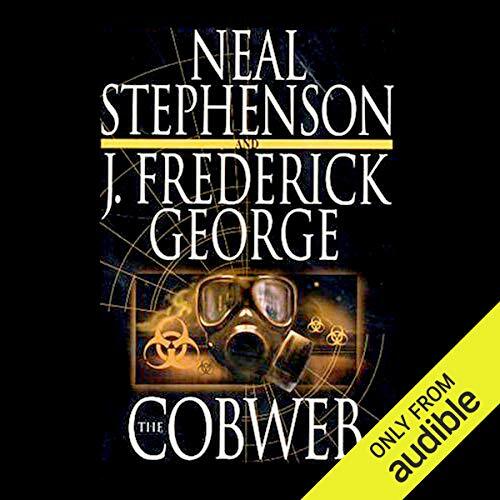 Stephenson and George pull it off well enough to keep me listening right through. A lot of the credit goes to Marc Vietor's read. Looking for an average GOOD LISTEN? Here it is.